Boxers appeared in January 1995, some 10 months after the release of Vauxhall And I, but seven months prior to the issue of Southpaw Grammar. Thankfully, from this listeners’ perspective, it is a song that fits in more with the former than the latter. 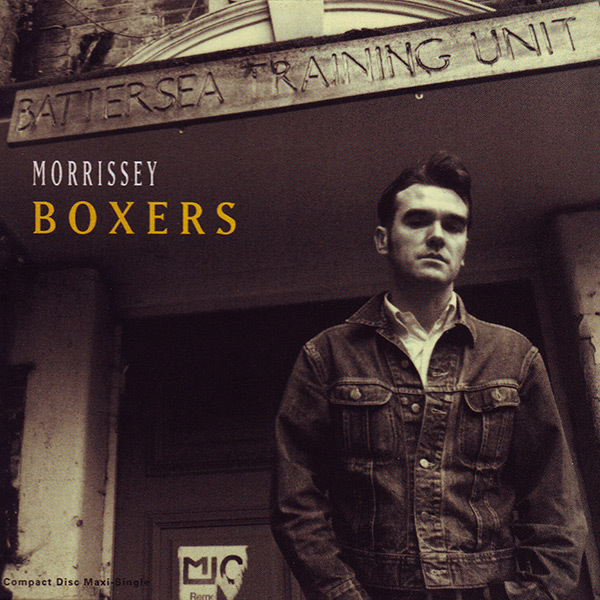 The sleeve underneath is the US version, and shows Morrissey outside an old London training gym. The two b-sides, along with the single itself, would all later find their way onto the compilation LP, World Of Morrissey. 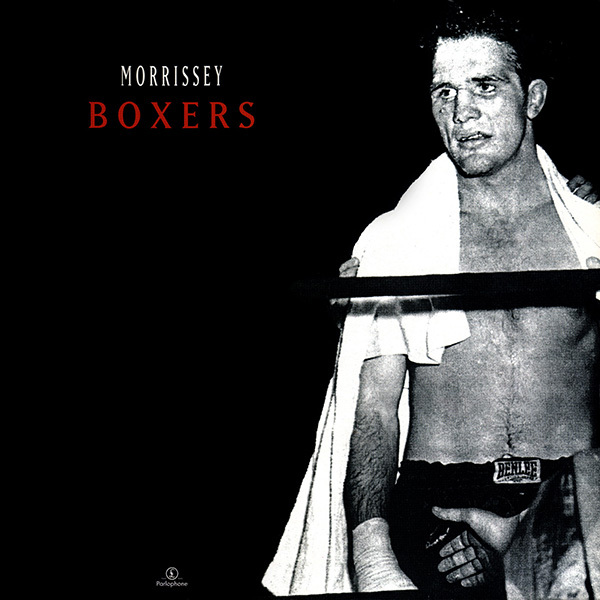 Boxers is one of the stronger Morrissey songs from the era, as is Have-A-Go- Merchant, the b-side on the 7″ single. But the additional track on the 12″ and CD single suffers from really bad saxophone playing from Boz Boorer which has often led me to skip past it when it comes round on the i-pod. The single peaked at a disappointing, but atypical for the period, #23.